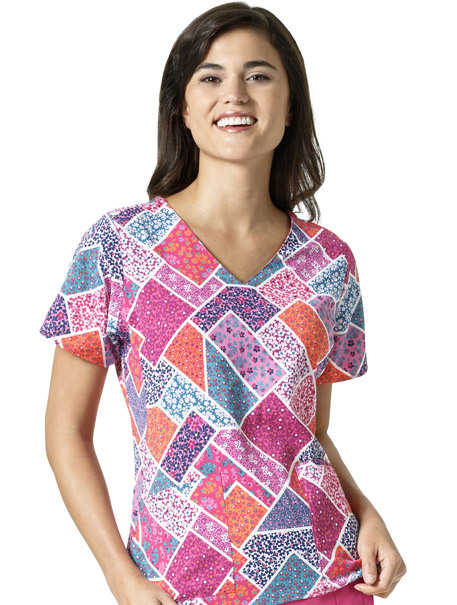 This Vera Bradley V-neck design features roomy front pockets with a peek-a-boo cellphone pocket, side panels, and Vera Bradley logo metal charm. Our fit has a shorter sleeve length, a slimmer cut that fits slightly closer to the body, and length that falls just above the hips. Inseam Regular: 31", Petite: 28.5", Tall: 33"